With the fast pace of telecom evolution both towards the access network front ( ie GSM , UMTS , 3G , 4G , LTE , VOLTE ) to core network side ( ie application servers , registrar , proxies , gateway , media server etc ) a CSP ( content service provider ) is trying hard to keep up with the user expectation . The user expects a plethora of services , reduced cost and high speed bandwidth . If this was not enough a CSP also has competition OTT ( Over The Top ) Players who provide communication and messaging for FREE . The following points outline the major business challenges faced by telecom operators today . The increased data speeds and further more increasing hunger for the data overwhelms the existing network infrastructures. Ensure uniform service experience across the network technologies to check the customer churn. Access / Radio Technology independent delivery of services. Enhance Reuse for exiting investments. Typical network constitutes of Multiple Service Platforms increasing network complexity and integration challenges many fold. Retain investments in copper wire systems while migrating towards next generation Fiber Optic systems. Severe competition among wire-line and wireless operators to provide latest services to retain subscriber base. Fixed Mobile Convergence leading to a diminishing gap among the revenue shares of various operators in the space, and leading to losses for wire-line only players. GSM : calls on circuit switching ( CS ) between 2 parties for communication. Dedicated circuits are used for voice and SMS. UMTS / 3G : network elements begin evolving into PS . No changes to core . EPC / LTE/VOLTE : No circuit switched domain at all . What is IMS or IP Multimedia System ? •A standardized IP-based architecture that allows the convergence of fixed and mobile communication devices and multimedia applications. •Defined by the Third Generation Partnership Project (3GPP) and supported by major Network Equipment Providers and service providers. •The standard supports multiple access types – including GSM/GPRS/EDGE, WCDMA, CDMA2000, wireline broadband access and wireless LAN. LTE evolved its precursor Universal Mobile Telecommunication System (UMTS), which in turn evolved from the Global System for Mobile Communications (GSM). 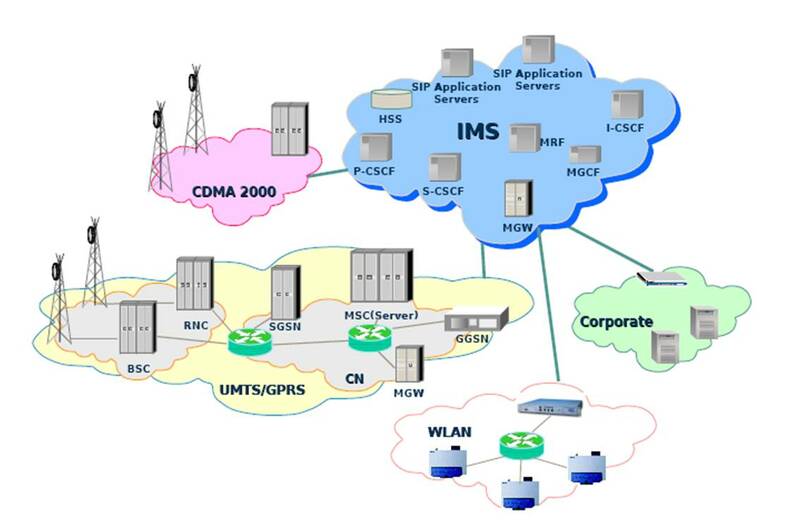 It defines the access layer of Telecom architecture. EPC is the core of LTE system . evolved UMTS terrestrial radio access network (E-UTRAN). With this eco-system Evolved NodeB (eNodeB) is the base station for LTE radio. What is EPC (Evolved Packet Core ) ? EPC is a core network architecture framework by 3GPP.